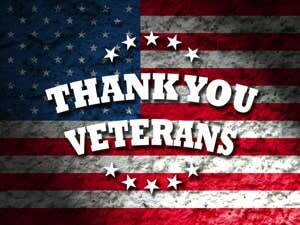 Veterans Day honors all of those who have served the country in war or peace and marks the anniversary of the end of World War I. Once known as Armistice Day, Great Britain, France, Australia, and Canada also commemorate the veterans of World War I and World War II on or near November 11th. There are many ways you can help celebrate those who have served such as attend parades, take a veteran out to dinner, or donate time or money to organizations that support veterans on a daily basis. In Topeka, we have several fantastic museums that have dedicated their time and resources to preserving the history and legacy of those who have served in the military and visiting these attractions is a great way to honor those who serve and protect the United States. 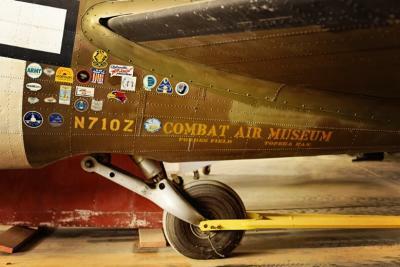 The Combat Air Museum has served as an educational institution for close to forty years. It&apos;s one of a handful of significant aviation museums in the United States located on an active airfield. With over 40 aircraft ranging from the earliest aviation period to the present day, it&apos;s no surprise they have the most extensive collection of World War I replica aircraft in the Mid-West. They have old aircraft engines of many sizes and types to include a rare Whittle Gas Turbine Engine which is thought to be one of only 12 GE-built Whittle Engines still in existence today. 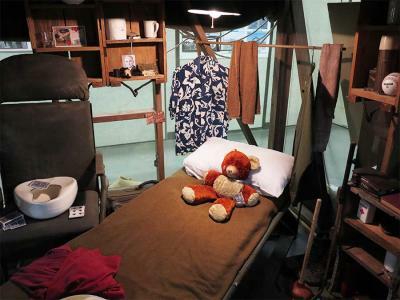 The Combat Air Museum offers guided tours, bi-monthly luncheon and lecture series, social events, "Young Aviators" STEM curriculum and a vast array of exhibits and dioramas. Visitors of all ages can be inspired and educated in aviation history, technology, art and the &apos;Cost of Freedom&apos;. The Museum of the Kansas National Guard preserves the heritage of the Kansas National Guard and honoring the memories of the soldiers and airmen who, for over 145 years, have served Kansas and the United States. Within the museum walls, the weapons, uniforms and other artifacts carried or worn by Kansas Guardsmen from the Civil war to the War on Terrorism are proudly displayed. They house an extensive military research library, containing hundreds of books and a small theater with videos featuring Guard and associated military history. In addition to the museum displays, library and artifact storage, the 18,000 sqft facility also houses the National Guard Association of Kansas and the Enlisted Association of the Kansas National Guard. This combination of occupants makes the museum a true center for the preservation of the militia heritage of the Kansas Army and Air National Guard. The Holley Museum of Military History is located within the Ramada Topeka Downtown Hotel & Convention Center. The Gallery illustrates multiple phases of U.S. military service through photographs, reproduced artifacts and models, all of which belonged to museum founder Jerry Holley. 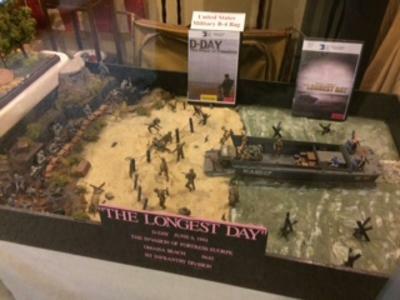 Holley started his collection out of his basement, constructing models and dioramas as an artistic outlet – each piece depicting a story from modern U.S. military history. The All Veterans Memorial at Great Overland Station features the Corridor of Flags and a dramatic sculptural flame centered above four reflecting pools. Fifty American Flags wave proudly above the flags of the fifty states, signifying American&apos;s unity of spirit. 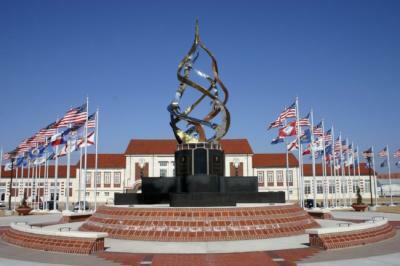 Each 30-foot flagpole is accompanied by a limestone base with a bronze plaque and is lighted from below. The state flags flying beneath historic American flags as configured at the time of the state&apos;s admission forms a unique educational exhibit - the name of the state, the year it joined the Union, its capital, and other state-specific information is inscribed on the plaque. For more trip ideas and inspiration, visit our website at www.visittopeka.com!